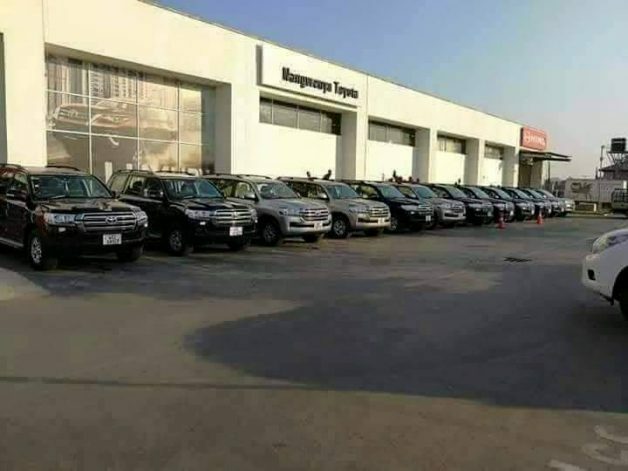 In the midst of austerity measures to cut on expenditure including suspending developmental projects, the PF government that projects itself as pro-poor has bought a new fleet of brand new Land Cruiser VX V8 cars from Toyota Zambia for its Ministers. But why are we cursed or what. I feel very embarrased to be zambian, we really lack priorities in this coun try. These vehicles legitimate cost is over $100,000 USD each. Ridiculous. Zambians need to stop being such cowards. This is your money and your country! What is with this passivity, throwing hands in the air and talking nonsense about a Christian nation? Stand up for yourselves, for your children! At no time should these people have peace from the masses. Not just vote them out of office, but hold them accountable – ask questions repeatedly at every opportunity, protest when necessary, voice your displeasure. 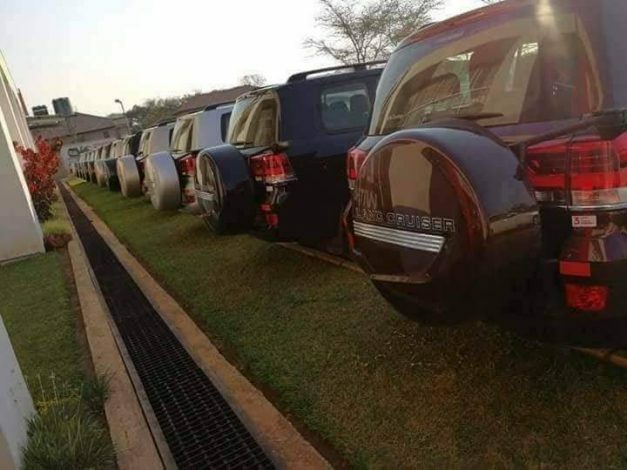 These cars and all their other irresponsible spending and, most importantly, thieving, is with your tax payer money. It is up to the people who are supporting PF. When we say this is a chipantepante government you say we hate your party. This is surbbotage of the economy. Don’t force us to demonstrate. Please God answer our prayers.